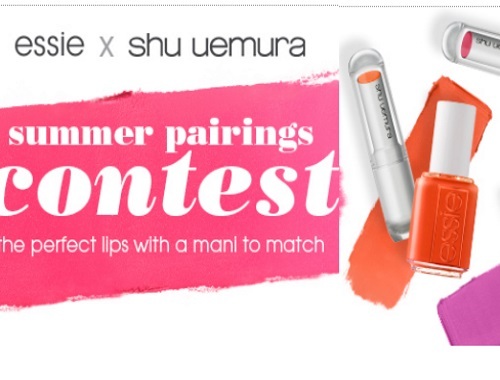 Essie & Shu Uemura have teamed up for a Summer Pairings contest! The perfect lips with a mani to match! Enter for a chance to win 1 of 2 summer pairings sets from essie & shu Uemura, featuring 6 shu uemura rouge unlimited supreme matte lipsticks with 6 matching essie shades. total prize value of $300 each. Contest closes July 3 2017.